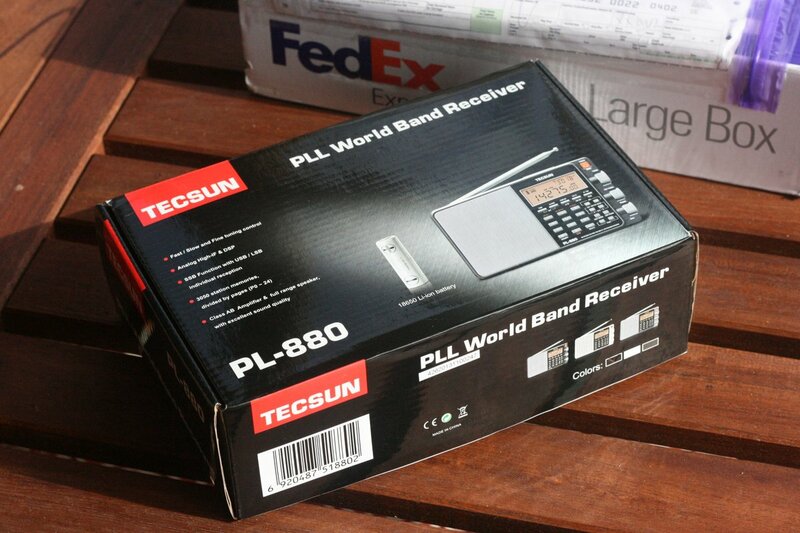 Once again, I ventured out to my truck tailgate to make a few videos of the Tecsun PL-880. 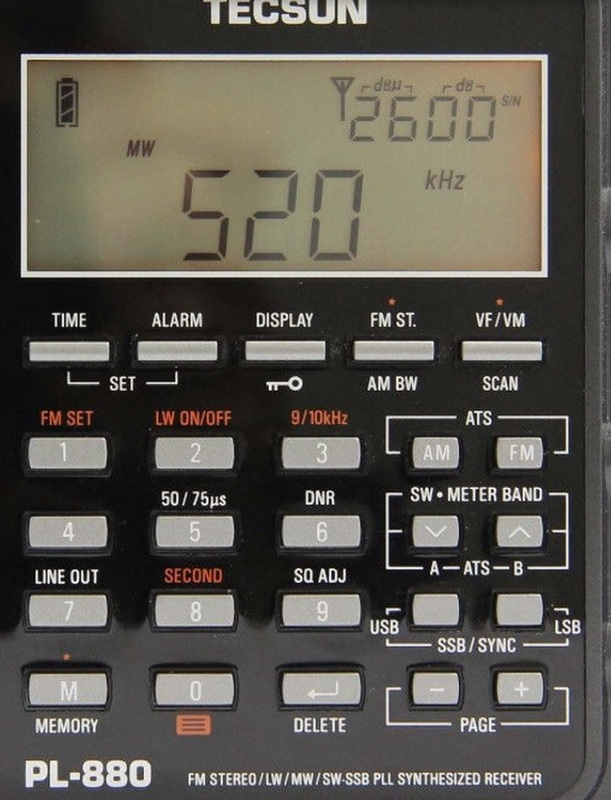 In this video, I’ve tuned the PL-880 and PL-660 to Deutsche Welle’s English language service on 9,800 kHz (transmitted from Kigali, Rwanda, some 7,600 miles away). 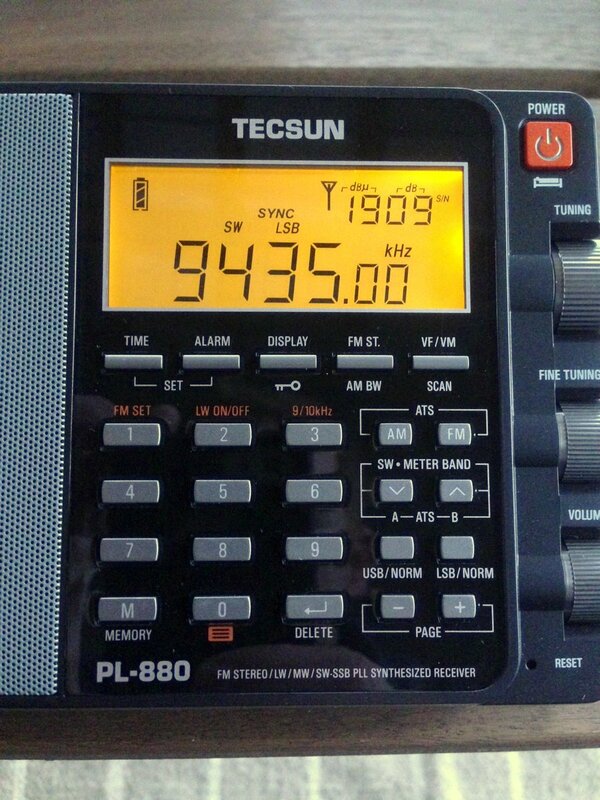 Note that when I first turn on the PL-660 it is in sync mode by accident. After changing the bandwidth on the PL-660, I then turn off sync. 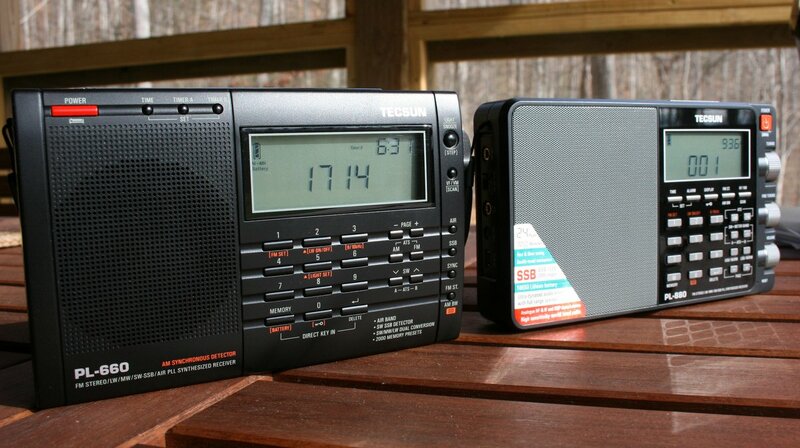 I’ve noted that the PL-660’s sync detector locks better than that of the PL-880. 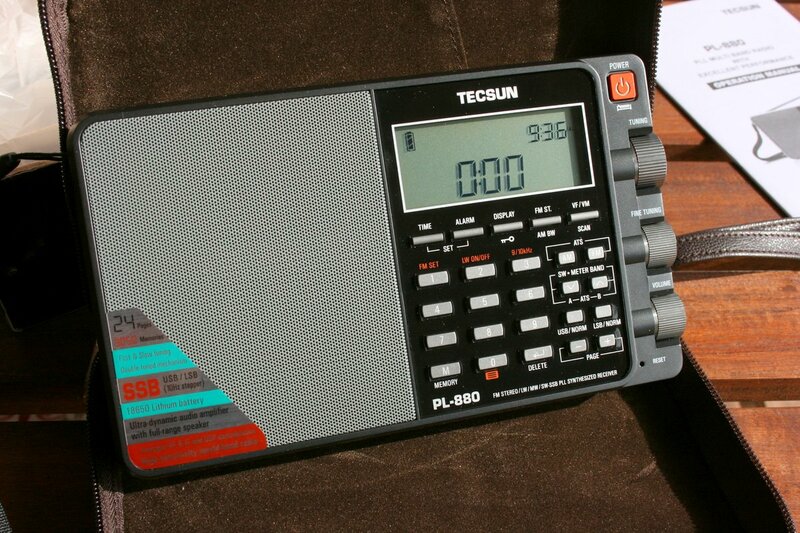 However, using the PL-880’s SSB mode to zero-beat the AM carrier (see article on ECR), produces great (and stable) results. 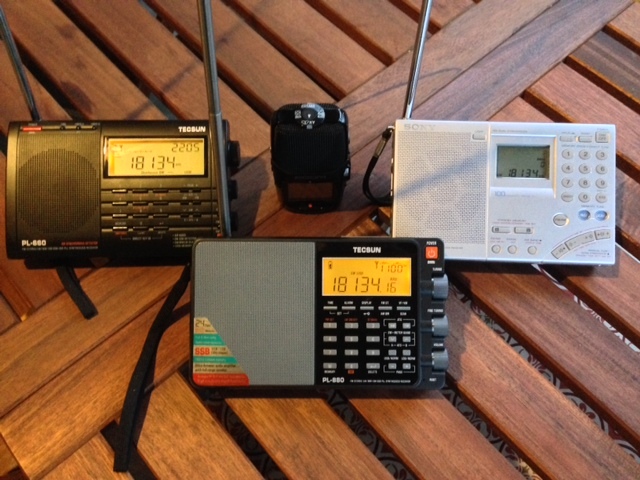 Sensitivity-wise, these radios are quite similar. 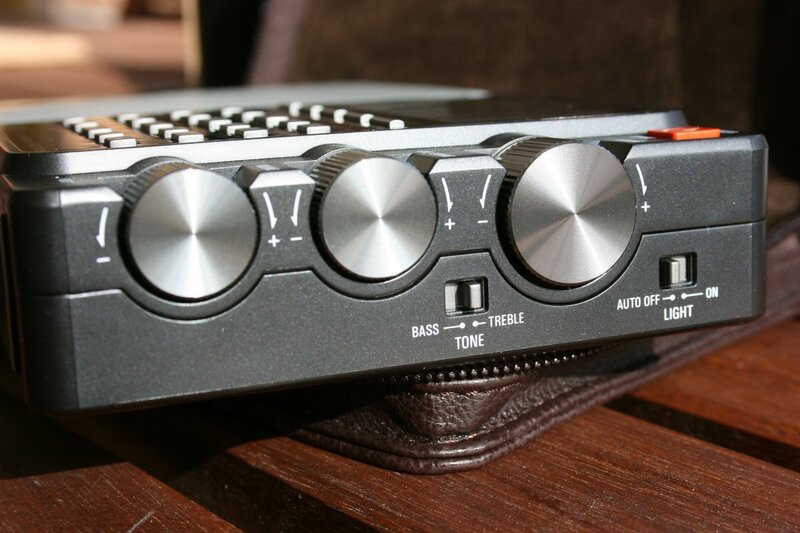 While I personally prefer the audio of the PL-880, the PL-660 makes vocals pop out of the noise a bit better. 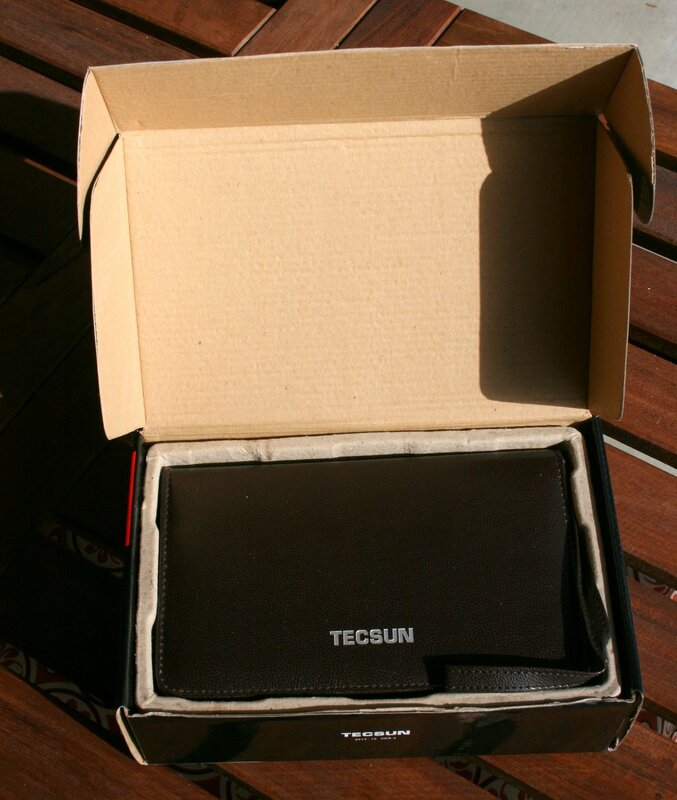 This entry was posted in New Products, News, Radios, Videos and tagged PL-880, Tecsun, Tecsun PL-880, Tecsun PL-880 AM Shortwave, Tecsun PL-880 Sync Detector, Tecsun PL-880 Videos, Tecsun PL-880 vs PL-660 on December 4, 2013 by Thomas.